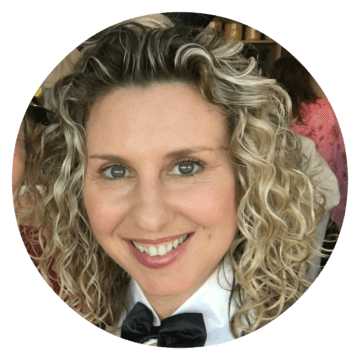 Hi, I’m Elly Klein – The Relationship Writer. As a writer and dating coach, I help people find love online, starting with a professionally written dating profile. 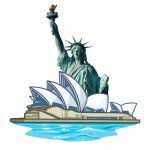 I’m an Australian based in Sydney, but I’ve lived and dated in New York and work predominantly with Americans. I’m the author of a humorous relationship advice book. 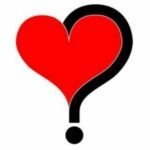 And I have a podcast called The Relationship Writer Podcast where I answer a common dating or relationship questions with clear, actionable advice. The episodes are short (under 15 minutes). I often use my own experiences as examples (I spill the beans!). And you’re always guaranteed a giggle or two (I don’t do serious or boring). Not much of a listener? That’s cool. Each episode is also a blog post. I’m my own online dating success story. 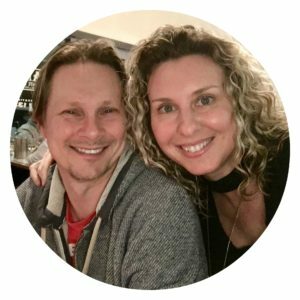 After experiencing almost every online dating high and low over 11 years, 2 countries (Australia and the US) and 7 dating sites, I finally met my fiance, David (yep, that’s us in the pic), at age 38 in Sydney in January 2016. We’re currently living together and getting married in November 2019. (Exciting!) You might be interested to know David worked just as hard (if not harder) at online dating before he met me. He went on over 200 dates (seriously!) in 2015 in an effort to find someone he could spend his life with. Good thing he didn’t give up at the end of the calendar year because he only had to keep going for another three weeks until I came along. I’m originally from Sydney, Australia, but have lived and worked in Canada (Vancouver, Whitehorse and Whistler) and, more recently, the US (New York). I’m currently based in Sydney. But as my last three boyfriends were American, half my friends are American, and most of my clients are American, I’m somewhat of an Americanized Australian. So, don’t let the accent or time difference fool you. If you’re American or Canadian, I’m totally on your wavelength. For starters, I’m a 2015 graduate of Love U – a comprehensive 6-month dating and relationship course by veteran dating coach, Evan Marc Katz. Check out my shiny certificate! It was a life-changing experience for me in multiple ways: 1. It helped me into my current relationship with the love of my life, 2. It connected me to an awesome group of women from all over the world (mostly the US) with whom I’m in touch on a daily basis, and 3. It led me to the most fulfilling career I could possibly imagine – helping people find love with my unique mix of extensive online dating experience, education, and writing talents. ❤ In 2011, my humorous relationship advice book was published. ❤ In 2015, I did Evan’s Love U program. ❤ In 2016, I met David. ❤ In 2018, after building a healthy, happy relationship (soon to be a healthy, happy marriage), I finally felt I had what it took to be a dating coach. I don’t see Evan a competitor. I see him as a friend, mentor and outstanding dating coach! He’s established. I’m up-and-coming. There’s more than enough work for both of us. Very few people invest in dating coaching and, as far as I’m concerned, they’re missing out. It’s life-changing. When it comes to one of the most important aspects of your life (love! ), dating coaching can literally take you from single, sad and stuck to coupled, content and capable! I’ve been a professional copywriter (that’s a person who writes ads, like for the Super Bowl, in case you didn’t know) since 2001. I hold a Bachelor of Communication (Advertising/Marketing) and topped the auspicious Australasian Writers and Art Directors Association course known as AWARD School. I worked in award-winning advertising agencies writing print, outdoor, radio, TV and online campaigns for such clients as Virgin and Nestle before going freelance. So, as you can imagine, I can rock an online dating profile! I’m the author of the humorous relationship advice book, Men Are Like a Box of Chocolates, which received a ton of media coverage, including being selected as one of 20 Australian products to be gifted to Ellen DeGeneres for Christmas. The book uses chocolate as a metaphor for men (yum!) and puts a positive spin on dating. Being a copywriter, author, Love U graduate, and online dating success story (finally!) makes me uniquely qualified to help people find love online. So far, I’ve been thanked at three weddings for my services. I think that’s pretty cool! Head on over to my How I Can Help You page to find out… um… exactly how I can help you (obviously!). If you’re looking for lurve and either enjoy online dating or accept that it’s a necessary evil in this day and age (although, you won’t feel it’s so evil after I’m done with you), I can make your journey much smoother and speedier than going it alone. Want love now? Thought so. Let’s get cracking!